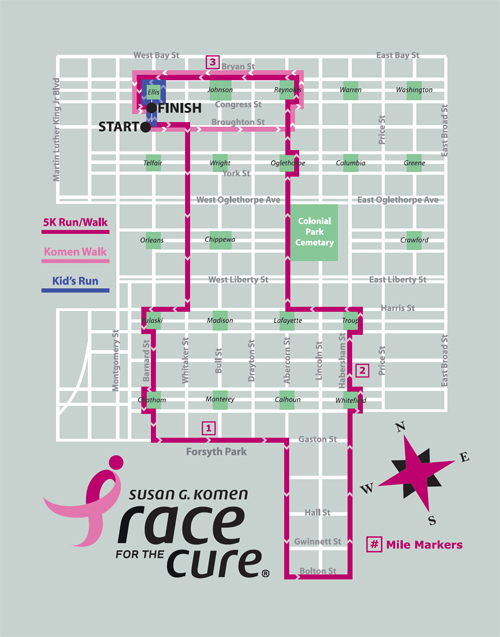 The Susan G. Komen Race for the Cure Series is the world's largest, most successful fundraising and education event for breast cancer. This important annual event raises significant funds for the breast cancer movement, thanks to supporters and survivors around the world who can step up and take action by fundraising for the cause. Start Time: 1 Mile Walk: 8:15 a.m.; 5K: 8:30 a.m.